The reason Noobz did not credit Fanjita and Ditlew is because they are both a part of Noobz. I couldn’t tell if that’s the case from the noobz site, but I did wonder. just to clarify, my psp is a TA-086 and it worked. thats the latest motherboard, so it works great. I knew there was a reason I upgraded yesterday. You pretty much cant buy it anymore, they are all “fixed” now. it was the original few batches that included they 2.0 upgrade on them that work. also a .iso wont work it must be an original UMD. If you can get one this downgrader is fantastic! I suggest going to your local video game rental store, and using that. I downgrade PSP’s for a lot of people, and find that if you go to a Roger’s, (if there is one near you) you’ll find that you can get unpatched versions. Silly managers! When will you learn to put out new games on your shelves every once in a while? There is a different art on the back of the box of the patched one. if you can still find one, google the LCS box back pic, and find a comparison if you can. Use this as a shopping guide. 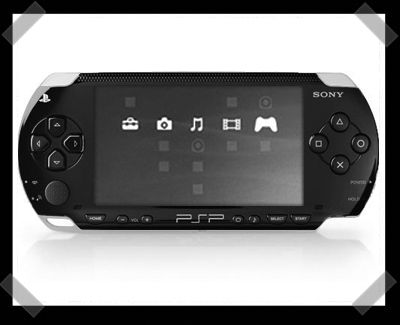 There will never be a way to run the downlaodable content without amending the PSP code with an external program. However, we can always rely on Devhook to help us out with that. Is that all? Good. Class dismissed. Please can someone good in all this down grade and downloading stuff should please help me with some little info on how i can download or hack games 2 my Psp, what and where should i download?…..i am so new 2 d world of psps , and ma software is version 2.50, and so i know no much stuff about it and cos i am a webdesigner but wanna start using em’…please help and i would holla back at you.thanks easy e.
hey i wud like to know that, if there will be possibilty to downgrade psp v3.03 without LCS umd, or may be with some other umd like Pursuit force as it has v2.50 update in it. any one kind enough to gimme a step by step ? I have been seeking all about for that information. Luckily I just came across this in Google.